Colin Firth and Nicole Kidman star in BEFORE I GO TO SLEEP, a film by Rowan Joffe. Photo credit: Laurie Sparham. Image courtesy Clarius Entertainment. All rights reserved. Rated: R for some brutal violence and language. 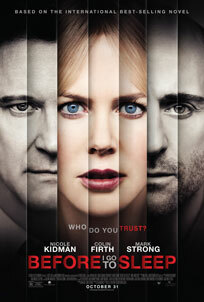 Christine Lucas (Nicole Kidman) wakes every day frightened and confused. She's sleeping next to a man who says he's her husband in a home he tells her is theirs, but none of this is familiar to her. She thinks she is a single woman in her 20s when, in actuality, she is a 40-year-old married woman. Christine suffers from psychogenic amnesia, as the result of a traumatic accident, and remembers nothing from her recent past -- not the accident itself, nor her marriage to her husband Ben (Colin Firth). Each day, Ben must introduce himself to her and explain their life together. He tells her she had a car accident years ago and lost her memory because of it. She can store up information throughout the day, but each night as she sleeps, everything she has learned about herself, her life and what caused her condition is erased from her memory. One day, Christine receives a phone call from Dr. Nasch (Mark Strong), a neuropsychologist specializing in her condition, who tells her they have been working with one another - without Ben's knowledge - to help her regain her memory. He explains that she was the victim of no ordinary accident, but rather a violent attack after which she was left for dead. Dr. Nasch provides Christine with a digital camera and tasks her to record daily messages with information she learns about her past. As she pieces together her video diary entries, terrifying new truths emerge that force her to question everything she thinks she knows about her life, as well as everyone in it: Is Ben telling the truth about what happened? What are Dr. Nasch's true intentions? What secrets have I been keeping? Who attacked me that night? And her existence shapes itself around a bigger question -- who can she trust? -- in this suspenseful thriller based on the worldwide best-selling novel by S.J. Watson. Clarius Entertainment presents a Scott Free and Millennium Films production, in association with Studio Canal: BEFORE I GO TO SLEEP. The film is directed by Rowan Joffe, and the executive producers are Danny Perkins, Jenny Borgars, Avi Lerner, Trevor Short, Kristina Dubin, Boaz Davidson, John Thompson, Geyer Kosinski and Ridley Scott. The film is produced by Mark Gill, Matt O'Toole, and Liza Marshall and is based the book Before I Go To Sleep by S.J. Watson. The screenplay is written by Rowan Joffe. Colin Firth, Nicole Kidman, Mark Strong and Anne-Marie Duff star in BEFORE I GO TO SLEEP, a film by Rowan Joffe. Image courtesy Clarius Entertainment. All rights reserved. 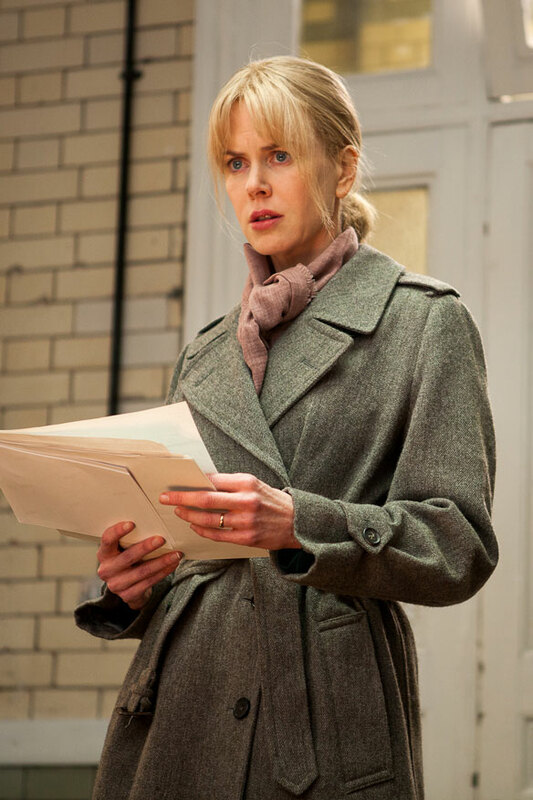 Nicole Kidman stars in BEFORE I GO TO SLEEP, a film by Rowan Joffe. Photo credit: Laurie Sparham. Image courtesy Clarius Entertainment. All rights reserved.